This weeked I was riding when all of the sudden the bike started to make a horrible grinding noise from the engine. After that the bike wouldn't start and only made that grinding noise. The next day it wouldn't do anything, I opened up the left crankcase but couldn't turn the flywheel at all. 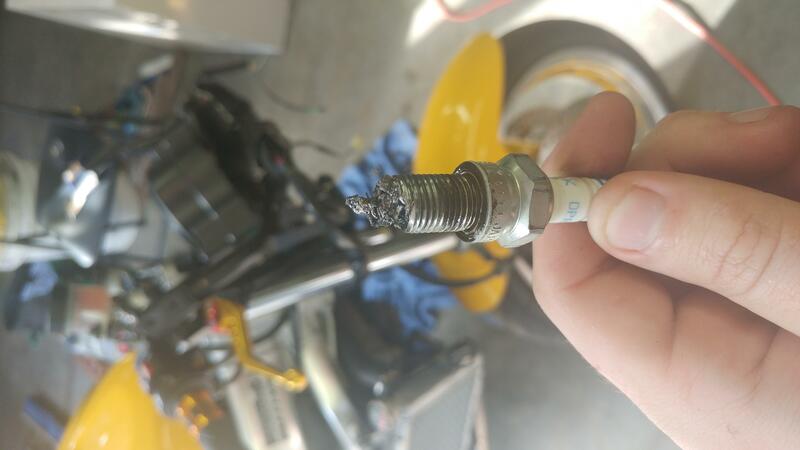 Last night I pulled the front spark plug and found it was completely shredded up. 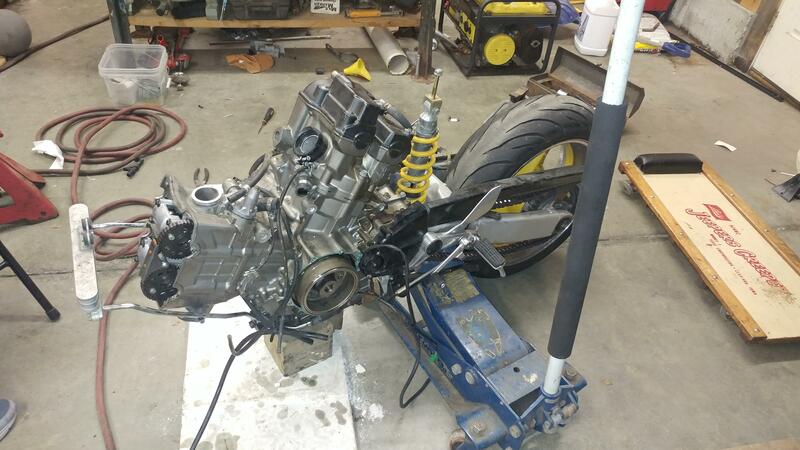 I'm not too experienced in working on bikes, or engines at all really for that matter, however I want to make this bike a project in order to learn a lot more about the bike and in fixing it. I was wonder what some of the next logical steps might be and how to do them. Also I was wondering what would cause something like this? The bike was well kept up from what I know, it does have about 30k miles though. Any help would be very appreciated though thanks. Last edited by SaucyDinosaur; 06-01-2017 at 05:55 AM. Looks like you'll be doing a lot of tear down. Pull the front cylinder head and report back, lol! Is it too early to guess cct failure? Welcome also, and yes, that is looking terrible for a first post. Well if you really wanted to learn about wrenching you have a good project ahead of you. That ^^^^sounds like a deal. Ok so I dropped the engine out last night. 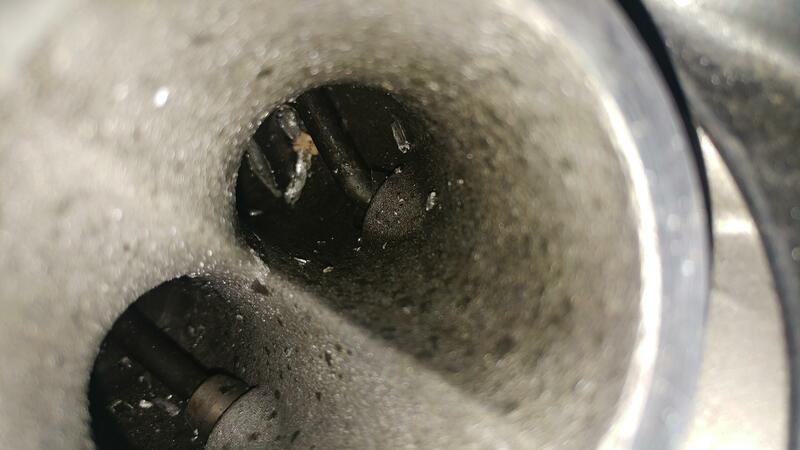 When I got the carbs out I looked into the front cylinder and you could see the piston had gone sideways and there are shards of metal everywhere. Also when I went to drain the oil I was very confused when coolant came out, turns out coolant got in the oil and oil got in the coolant. I'm wondering if this was caused by the engine break or caused the engine break, if the ladder I hate whoever did this... I'm going to have to clean every line and part any of these fluids go through to clean out the wrong fluid and any metal shards. When taking the exhaust off its just poured out metal. Any more suggestions haha? Captainchaos that's really awesome of you I'll definitely let you know what my plan is. This weekend I might actually have a guy who rebuilds car engines all the time take a look at this and let me know how screwed the engine is. I'll definitely let you know, thanks so much for the offer. Also, when I went to unscrew the choke from the carbs one of the plastic screws that holds it in was broken. Anyone know where I could get one of these screw cheap? Maybe I could just buy your choke Captainchaos? Ok so here's where I'm at. I went to drain the oil and coolant. When I pulled the oil drain bolt coolant came out for about 5 seconds then oil, when I drained the coolant there was oil in the coolant. I'm not sure what I should be more afraid of, whether these being mixed caused the engine to break, or the engine breaking caused these to mix. Anyways next I took the carbs off and when I looked in the cylinder I could see one of the piston rods bent with shards of metal everywhere. From what I've been reading on this forum this sounds like the CCT failure you guys were talking about? Me and my friends ended up taking the engine completely out and are going to have it looked at by a guy who rebuilds car engines. Any idea if this engine will be worth fixing or even fixable at all? What would need to be fixed most likely? I figure cause of the oil/coolant mix and the metal shards in the engine, anything connected to the oil or coolant lines should be completely cleaned out or replaced completely. Captianchaos that is really awesome of you. I'll definitely let you know how it goes with taking the engine apart. From the sounds of it I will most likely take you up on some of those parts. SaucyDinosaur: It sounds like your engine is 'toast'. Confirm it with the mechanic. If it is in fact in need of a rebuild (or worse) a replacement engine is going to be a lot more efficient and most likely more cost-effective way to approach the problem. I say this based on experience. Also, I would not use a good, running engine for parts to re-build the current engine. I'd do it the other way around, save any usable pieces from your current engine...but put the replacement engine in, change to manual CCTs...and ride. Last edited by AlanS; 06-02-2017 at 05:40 PM. Dino, the last photo, enrichment cables. Contact Jack Flash for brass replacement parts. No worries nothing is up for sale yet so it'll be the motivation I need to get the rest of the bike apart and the rest of the parts up for sale on here. Again no pressure, and I know shipping will a factor due to the size and weight... when you're ready just PM me and I'll get everything apart if I haven't done so already. Probably build a small crate out of a palette and box it up and we'll look around and get you where you need to be price-wise. Saucy, the motor swap option would be your best bet IMO. 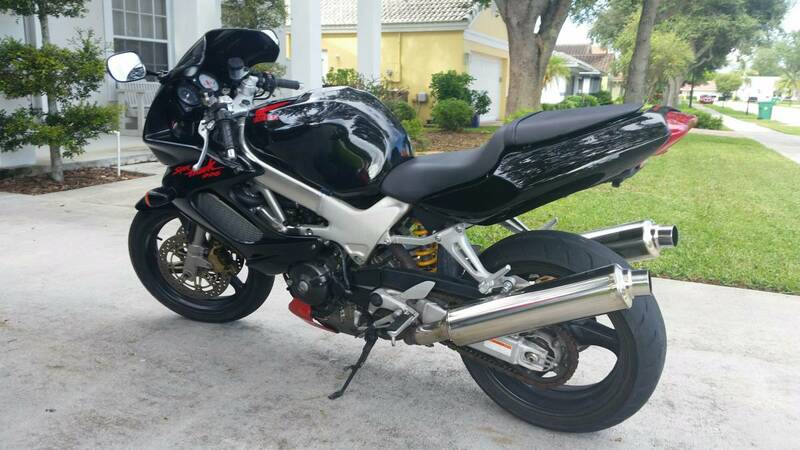 Under 10k, all it needs is a set of manual cct's and you'd be good to go. Ok so the engine is definitely a goner and I ordered a new one. 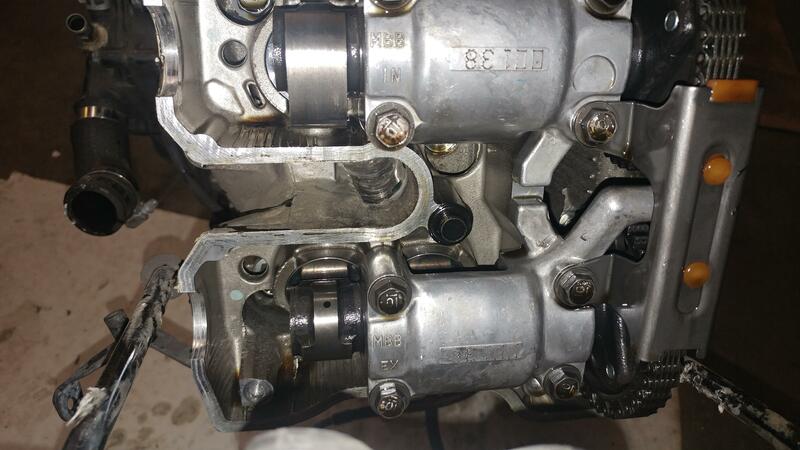 I was just wondering, when I was talking to the seller he also agreed it was probably CCT failure but also could've been fuel getting into the oil. Does that sound possible? I went through and started cleaning the carbs and didn't find anything that seemed to be bad. Where would I check for a problem like this? Before it died I had a slight suspicion that too much fuel was getting injected by the carbs and was getting just under 30 mpg. It seems to me that that's too low of a number, I just don't know if that low mpg could've caused the failure or just a waste of fuel. When the oil was drained I didn't notice a smell of gas but I also wasn't checking for it at the time. I guess I could see if it still smells like gas somewhere in the engine where there shouldn't have been gas. If you've disassembled the engine, did you find evidence the piston(s) met the valve(s)? Depending how you ride, 30 mpg is not necessarily indicative of a problem with these bikes. Here's where I'm at now. New engine is in, go to start it annnddd it won't start. Starter will go and the engine will turn but it never fires to start running. Pretty sure its either the carbs not getting fuel into the engine or sparks aren't firing. Guy who sold me the engine claimed it had brand new sparks in but I'm gunna check both those things out. Any other ideas of what it could possibly be? Also I believe my clutch depressurized while the slave cylinder was off. Any good guides on here to bleeding it? I've never done that before. Also wondering if anyone new of good guides or videos for putting in manual CCT's. I got the ones Wicky suggested. There should be some basic trouble-shooting procedures in the SM for both 'spark' and 'fuel' related issues. Are you using the carbs that were on the engine when it was running? If so, I would look at the 'spark' trouble-shooting first, and presume the carbs are no worse than when they were feeding fuel to a running engine before it grenaded. To make sure they're getting fuel from the tank, just verify fuel is coming out of the fuel line that leads back to the tank. You can also pull the bowls off to verify they're full (or there might be a drain you can open to verify fuel passes). But if they're carbs you saw working on the original engine, and if fuel is getting to them, you can pretty safely assume they'll feed fuel to the engine. (I'm presuming it has been a short while from now back to when the engine blew up, i.e., the carbs haven't had time to turn to s**t). If you're using carbs that worked previously, recently, in your presence, and if the air filter is not clogged (or is not present), then I suspect your issue is in the electronics related to 'spark'. Also, ***-U-MEing, the fuel you're using is fresh. There are compression tests ahead, etc. You'll get great advice here on how best to perform these. But for now, just get the engine running. Put the 'known good' carbs on it, to start, make sure they're getting gas, and if it doesn't fire up start looking at spark related issues. (Take the air cleaner off, if you haven't already. Make sure the carbs have no obstructions to the inlet of air). My presumption, BTW, is that it's not even 'trying' to start, that it just 'turns over'. If you use the carbs from your original running engine (that haven't been sitting for 'months'), the electronics from your original running engine, and provided your 'new' engine is viable, the combination will run. Maybe not good. But it will at least start up for you. Last edited by AlanS; 06-15-2017 at 05:32 PM. Also I believe my clutch depressurized while the slave cylinder was off. Any good guides on here to bleeding it? I've never done that before. This can be a pita and test your patients. I had a real good how to video marked somewhere and for the life of me I can't find it. I recently rebuilt both my clutch master and slave so I had an air filled system. Had a HELL of a time the old fashioned way. MightyVac wouldn't get it done. Then I watched it done like this and that very quickly solved my issue. As far as the no start. 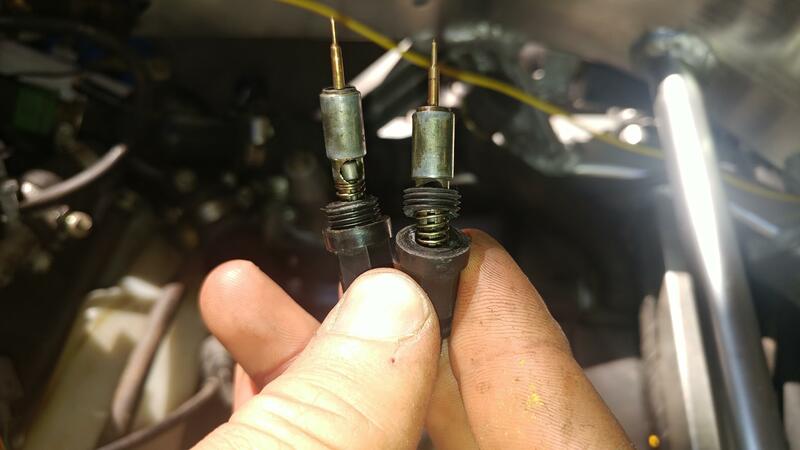 Crank away and then check your plugs for fuel. If bone dry, chase that. If wet, eliminate fuel delivery and check for spark. A quick way to check for fuel is to crack the bowl screws used to empty carbs. If fuel flows, it's @ least getting to the carb. Have you got a service manual? I know Haynes publishes one. Clymer probably does. You can get a factory service manual on eBay for not too much. The Honda Shop manual is in the Knowledgebase section of our forum as a PDF downloadable free, searchable too. is the vac pipe on the correct part of the tank? everybody at some stage puts in on the wrong outlet.